Buddhism, Bravery, Love and the Good Life. Lodro Rinzler is that increasingly rare Westerner who didn’t find Buddhism through a later-in-life quest for answers, he was brought up in the tradition of Shambhala Buddhism and has lived its teachings since he was a child, at one point even exploring the monastic path. That said, he’s very much “of this world,” deeply connected to the realities, demands, challenges and joys of life in a world that seems to be moving faster and faster and placing less and less emphasis on relationships, compassion and the deepest parts of love. 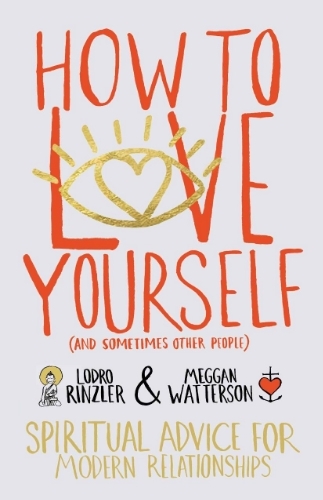 His desire to share his lens on Buddhist wisdom applied to modern life led Lodro to eventually take his seat as a teacher, penning a number of wonderful books, the latest, How to Love Yourself (and Sometimes Other People): Spiritual Advice for Modern Relationships. He’s also a co-founder of a very cool new center for meditation in New York City called MNDFL. In today’s conversation, we explore Lodro’s remarkable personal journey and what it was like being the Buddhist on the block as a kid. We also dive into some of the major ideas, practices and teachings from Buddhism, like meditation (what it is and isn’t), Karma (how to really think about it), compassion and love, and discuss a bit of mythology and misunderstanding around each.